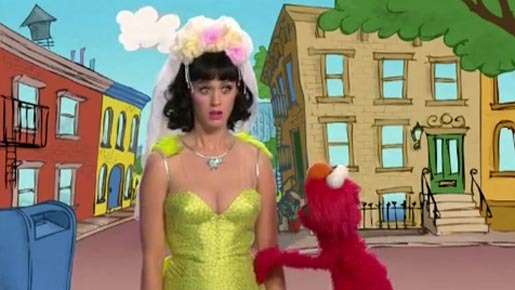 American singer/songwriter Katy Perry has become the focus of a censorship row on Sesame Street after the producers of the preschool television show decided not to air her music video “Hot and Cold”. Perry appeared on the Sesame Street YouTube channel in a music video with Elmo, dressed up and ready to play but disappointed that Elmo had changed his plans. Parents complained to Sesame Street that Perry’s dress was too low cut and revealed too much cleavage. The decision became a part of popular American culture this week when Katy Perry appeared on Saturday Night Live to promote her new Teenage Dream album, dressed in a very tight fitting Elmo shirt for a comedy skit and performing her songs. Katy Perry ft. Snoop Dogg “California Gurls” was drected by Mathew Cullen of Motion Theory.